Now is your chance to choose the next Challenge location. 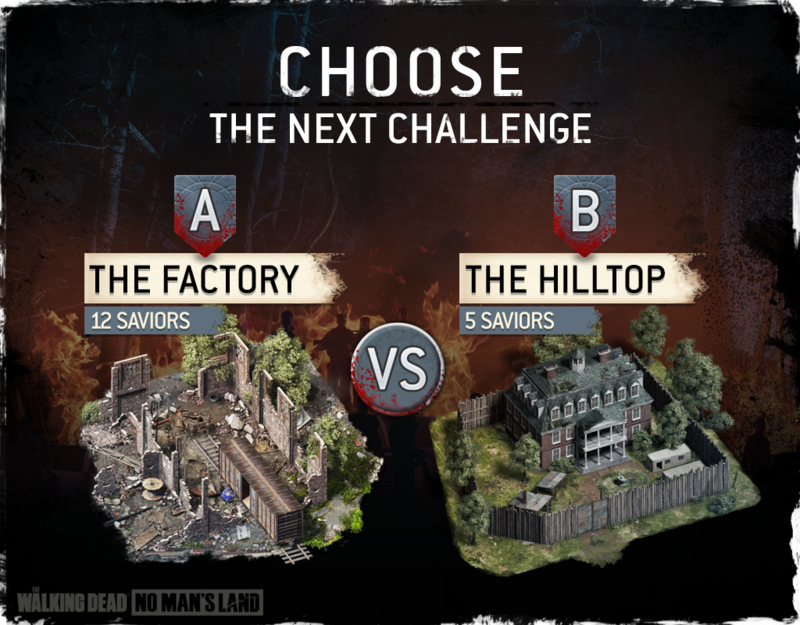 Will it be the Factory or the Hilltop? Vote on the official The Walking Dead: No Man's Land Facebook page for your favorite. The voting will last 48 hours and end at 11:00 AM UTC on 21st April. This is your last chance to work with the community and take revenge on Negan's Saviors.